This Weekend: Rumors of a Goddess?! The first Book of Monsters was a hit! Heroes took on Extriki the Destroyer, the first of the Queen of Monsters’ children, after it emerged from a Rift in the Neverglades. Now, Aria has begun sensing a disturbance in Lore’s spirit as troubling (and exciting?!) rumors arise. This weekend, we begin the second Book of Monsters with the story of Kolyaban the Reshaper! Your journey begins with Aria as the two of you travel from the Neverglades Battlecamp to /pilgrimage. 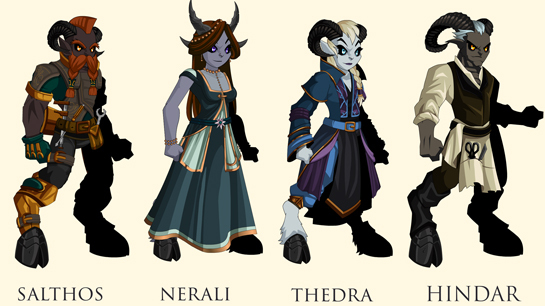 Meet Thedra, Eremon, and more , who have traveled to the area in search of Kolyaban, daugher of the Queen of Monsters, and the legendary First Darkblood! Rumors of her appearance filtered back to Thunderforge, and a contingent was sent to discover more information. But as with everything in the land around the Neverglades Battlecamp, NOTHING is quite what it seems... and you should never trust ANY of the creatures you meet. Especially not when they look SO strange! Is this a hub town? Good question, faceless EveryPlayer! Short answer: No. 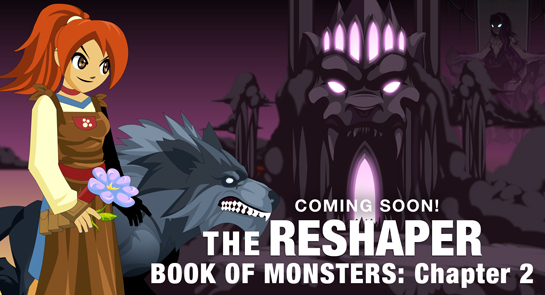 Longer answer: The Neverglades Battlecamp is the hub-town for the Book of Monsters. This has a few "function" NPCs like our hub-towns do, but this is a much more story-focused map.